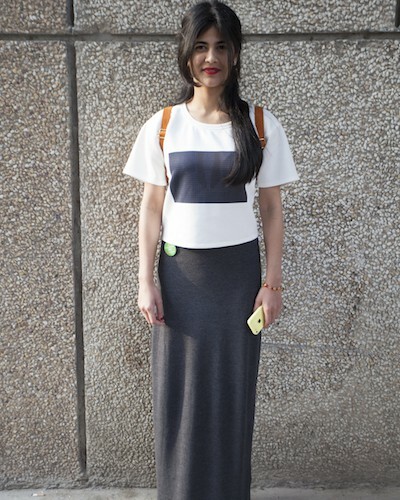 Sanjana Chopra, founder and editor of Abstrakt Harmonie Agency, wears a 431-88 by Schweta Kapur tee and backpack with a Zara maxi skirt. We love this casual look with bright red lipstick! For more street style from POPxo, check out our fabulous Instagram feed!